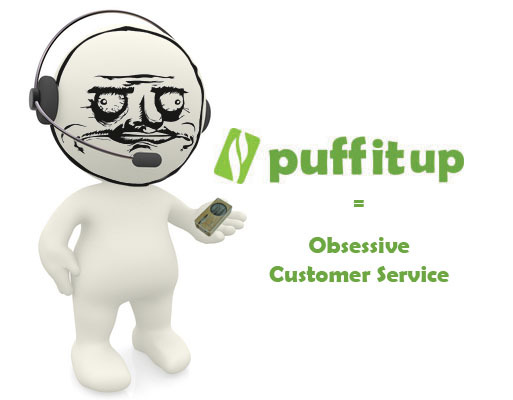 PuffItUp has never had store hours. Customers shop our website day and night which is why we work around the clock to answer any questions. Look for the AIM chat box on our website, you can chat anonymously with us just about anytime day or night. Our staff is experienced with all our products and can answer just about any question you might have. Or if you just want to say hi, you can do that too.